THCA, the non-psychoactive cannabinoid in raw weed that later converts to THC when heated, might possess particularly potent neuroprotective abilities. When hearing of the numerous therapeutic and healing properties of cannabis, the focus has primarily been on certain cannabinoids like THC and more recently, CBD. But there’s another cannabinoid floating around out there that is definitely deserving of more attention: THCA or tetrahydrocannabinolic acid. THCA is actually the non-psychoactive cannabinoid that later converts to THC when decarbed via smoking, vaporization or when cooked, and as it turns out, it’s pretty powerful in its own right. Recent studies suggest that THCA in raw weed might possess particularly potent neuroprotective abilities. Diseases that fall under this category are Alzheimer’s, Multiple Sclerosis, ALS, Parkinson’s disease, multiple system atrophy and more than 600 other complications. Such conditions can be debilitating, painful and ultimately fatal. THCA shows potent neuroprotective activity, work consideration for the treatment of Huntington’s Disease and possibly other neurodegenerative and neuroinflammatory diseases. In fact, the positive impact that THCA had on such activity was greater than its decarboxylated counterparts. Protecting the brain from degenerative diseases by using THCA, could become a major medical advancement. THCA has also been shown to have anti-inflammatory properties, anti-emetic properties (for appetite-inducing benefits) and antiproliferative properties which protect against cancer. Also, the human metabolism is able to process large amounts of THCA without side effects. While cannabis lovers collectively cringe when they see someone consuming raw weed (what a waste! ), pre-decarbed THCA containing buds could be an incredible saving grace for those suffering from neurodegenerative diseases. Cannabis itself has tons of health benefits when consumed raw and there’s a growing movement of consumers juicing it, and sprinkling it inside meals (move over, oregano). 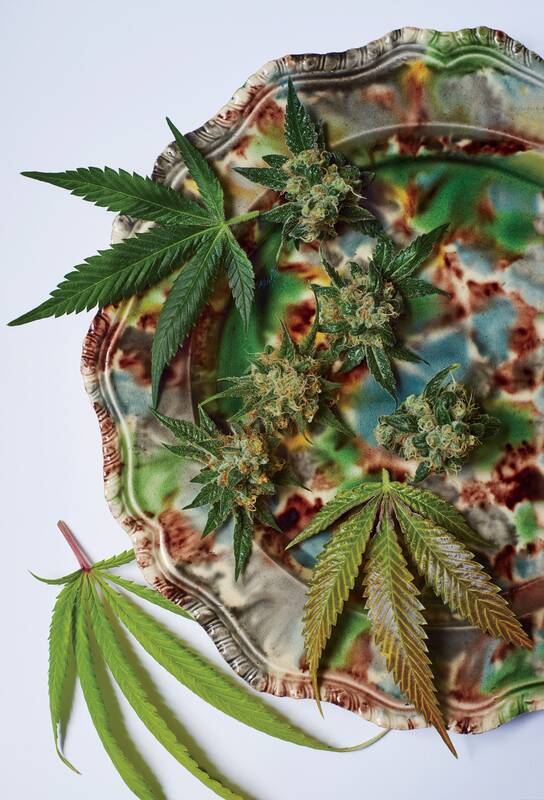 Aside from THCA, the terpene, protein, amino acid, antioxidant and omega3 content of raw cannabis might be enough to gobble it down in its natural state. As with all plant life, the use of pesticides molds and other chemicals are a cause for concern. But let’s hope that new discoveries regarding THCA will inspire growers to use the safest possible cultivation practices for raw and decarbed consumption.